Calling all peanut butter fans! 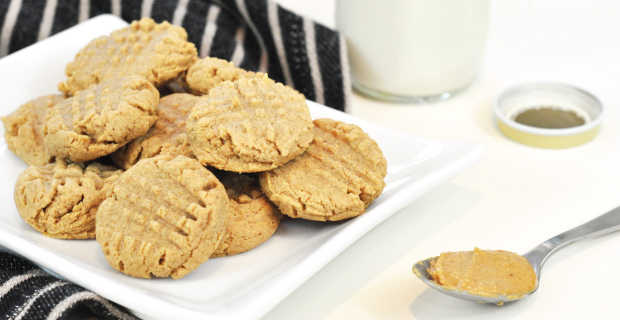 We know there are thousands of variations of peanut butter cookies that can be made but for a nice batch of simple, no-nonsense peanut butter cookies, you really can’t beat this recipe. Add peanut butter, butter, white sugar, brown sugar, egg, vanilla, and milk to WildSide+ jar and secure lid. Blend on a Low speed for 15–20 seconds, or until the mixture reaches a uniform consistency. Add flour, baking powder, and salt. “Pulse” until mixed. Add any optional ingredients. “Pulse” until mixed or remove from jar and fold them in. Roll into small balls of dough and place on ungreased baking sheet approximately two inches apart. Flatten dough balls with a fork, making a criss-cross pattern. Bake in oven for 10 minutes, or until edges of cookies are lightly browned. Serve warm, or store in an airtight storage container and refrigerate for later.